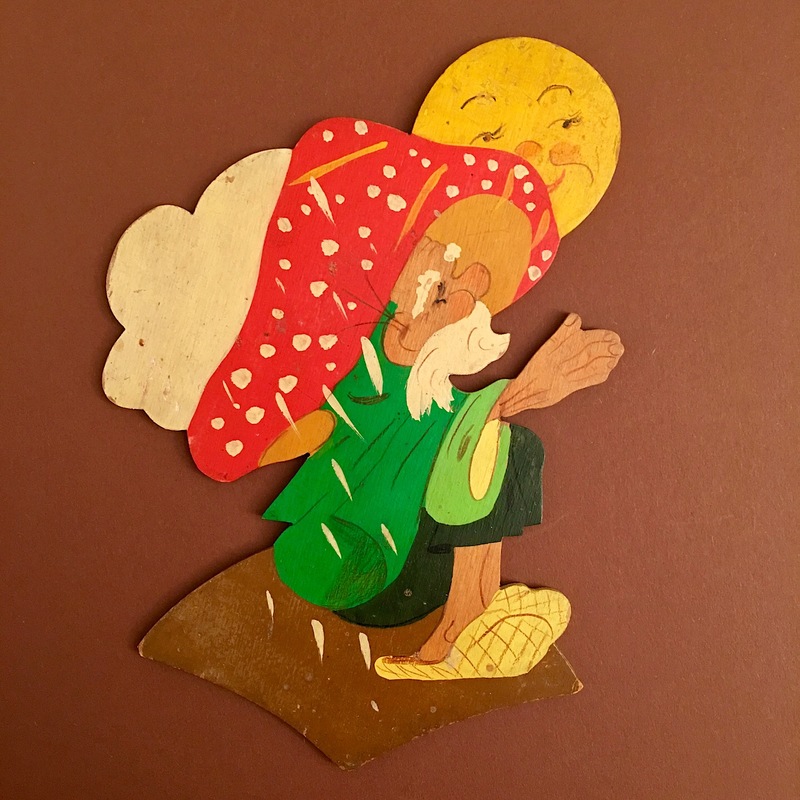 Very rare, hand-painted on wood, thick colors with varnish. Great color scheme with red, yellow and three shades of green. It is a typical Ravi-Kunst – I would have recognized the manufacturer even had I not known it was Ravi-Kunst!